The Duke and Duchess of Cambridge leaving after they watched wheelchair basketball during a SportsAid event at the Copper Box in the Olympic Park, London. Kensington Palace is going to get a little cozier as the Duke and Duchess of Cambridge welcome their third child into the world. 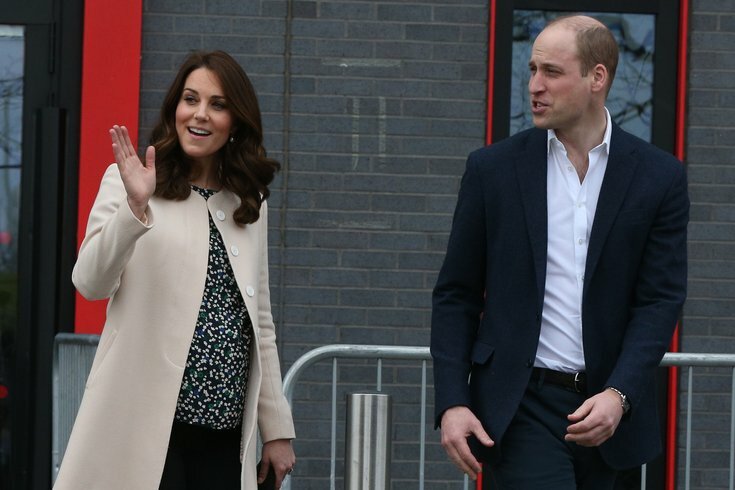 The Royal Family announced Monday that Duchess Kate gave birth to a son at around 11:00 a.m. at St. Mary’s Hospital in London in the Lindo Wing. The baby, a boy, weighs a reported 8 pounds, 7 ounces (3.8 kilograms). Prince William and Duchess Kate's two other children are Prince George, born in 2013, and Princess Charlotte, born in 2015. Royal Baby No. 3 is fifth in line to the British throne. “Her Royal Highness and her child are both doing well,” Kensington Palace said in a statement. The arrival of Queen Elizabeth II’s sixth great-grandchild comes just two days after her 92nd birthday, and less than a week before Kate and Charles’ seventh wedding anniversary on April 29. Crowds and media in London are stationed outside the hospital’s Lindo Wing. Time has a live stream from outside the hospital, below. The name of the child, if tradition stands, will be announced on a gilded easel outside Buckingham Palace within a few days of the child’s birth. The Royal Family will commemorate another big event in less than a month with the marriage of Prince Harry and American actress Meghan Markle on May 19.